Designed for the backpacker, overnight camper, and outdoor fanatic. 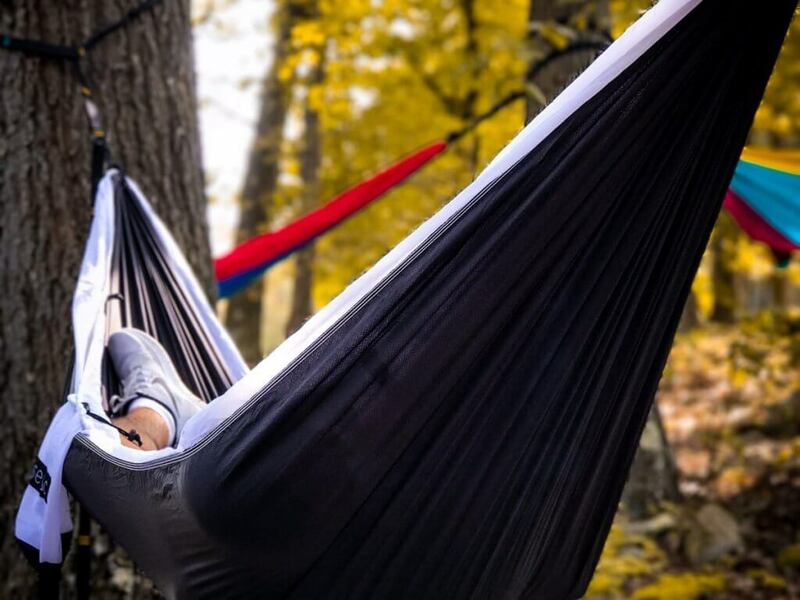 The perfect starter hammock for the casual outdoorsperson. 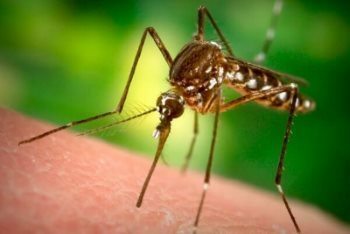 Protect yourself from the creepy-crawlies! Don’t let a downpour ruin your hammock time. 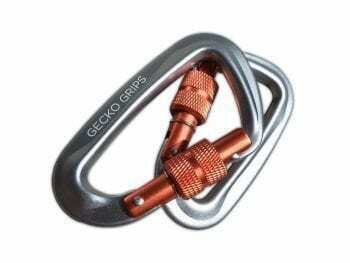 Ultralight & ultrastrong aircraft aluminum carabiners. Enjoy nature’s beauty at your campsite. 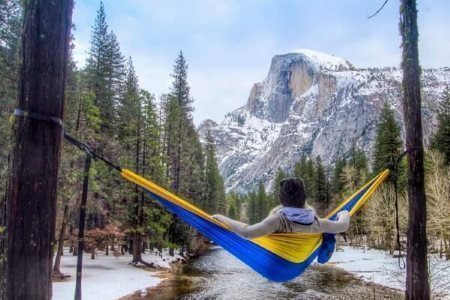 All you need is two tall trees and a comfortable Serac Hammock. 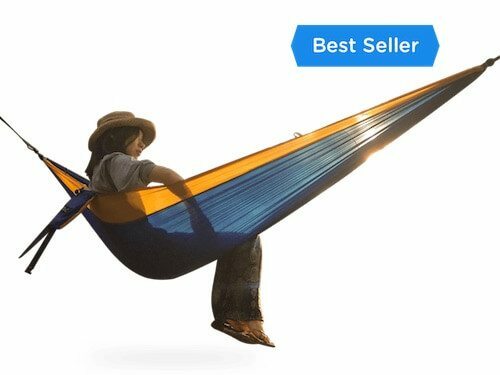 Your campsite is incomplete without this incredibly comfortable and relaxing hammock. Kick back and enjoy the forest like never before. Relax, rock, and love every aspect of nature around you. See those two trees at your campsite? That’s where you’ll relax like you’ve never relaxed before. 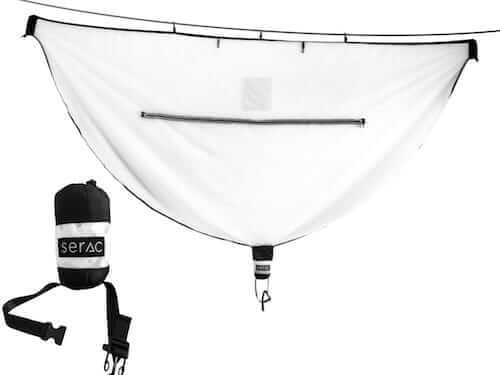 That’s where you’ll easily hang your comfortable Serac Hammock and feel the stress of daily life disappear. Take your hammock out of your pack, take a deep breath of fresh air, let the cool breeze fill your senses, and finally… relax. No camping trip should be without a durable, relaxing hammock. Ryan looked at the tall trees surrounding his family’s campsite and smiled. He took a deep breath of fresh air and as he exhaled he felt the stresses of daily life disappear. As Ryan rocked back and forth, he closed his eyes to listen to the kids play corn hole while the cool breeze gently touched his forehead. He was finally able to relax. 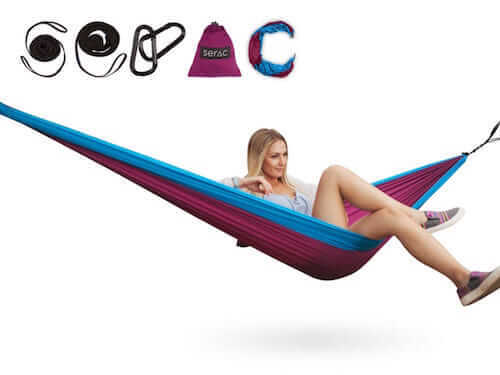 Ryan will never go on another camping trip without her relaxing Serac Hammock. With every camping trip, relax, rock, and love nature’s comfort. The Missing Link to The Perfect Campsite. 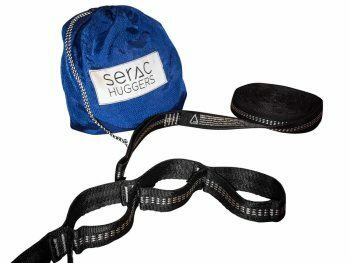 Read more reviews on the Classic Serac Ultralight Camping Hammock. Your happiness is our promise! Issues with your hammock? let us know and we’ll help you repair or replace the hammock. Enjoy years of comfort with your favorite travel buddy. Quit sleeping on the ground. Enjoy the comforts of sleeping under the stars. Setup in a minute. Stop fumbling with bulky tents, poles, knots and guy-lines. All you need in a couple of trees. At under a pound, camping hammocks are the lightest way to catch some Z’s. So compact you can take it anywhere. 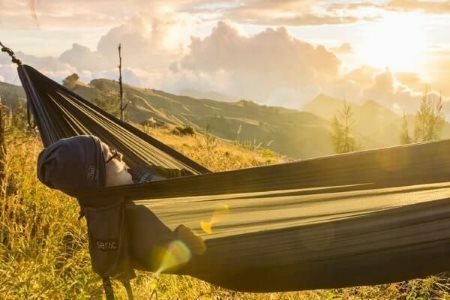 Your ultralight hammock packs down to just 7 inches. Take it anywhere on the go. Leave no trace. Our mission is to get you outside while protecting the world we love. 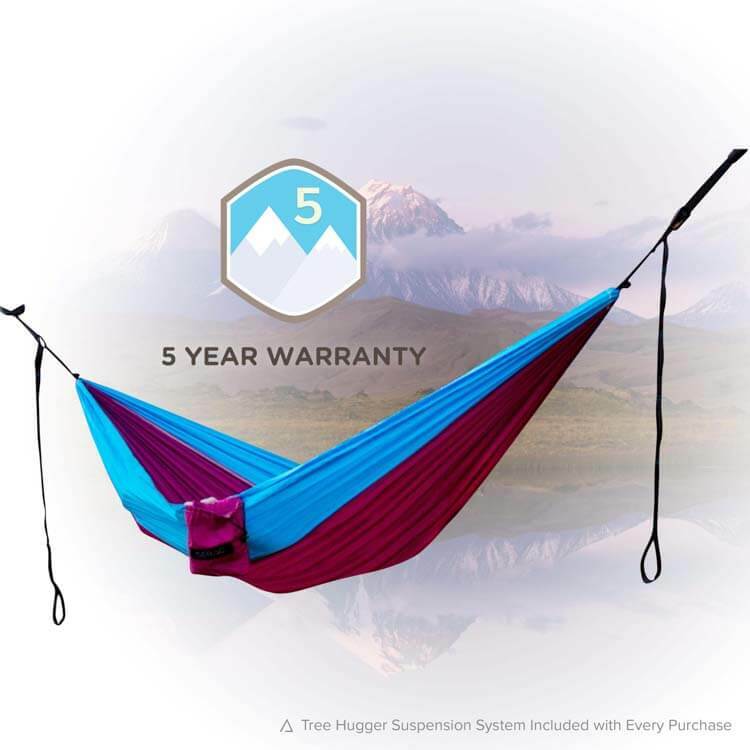 Every camping hammock we sell includes multi anchor tree straps to protect our trees. 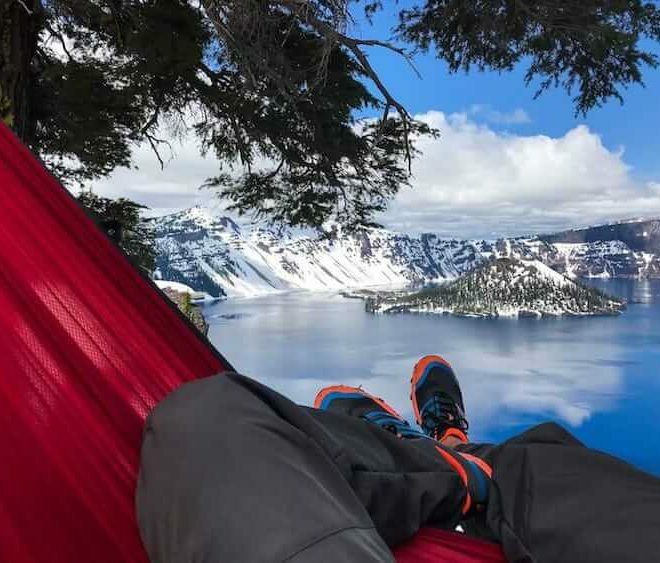 Relax in a Serac Hammock – we won’t let you down. 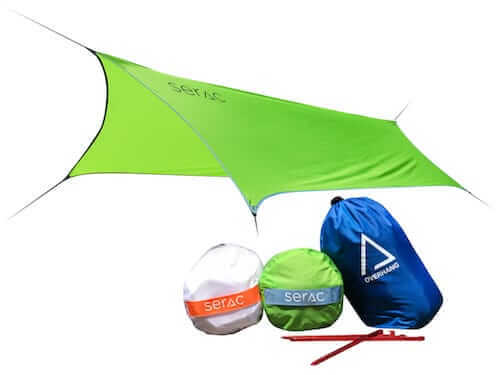 Serac’s portable camping hammocks are lightweight enough for backpacking, day trips and traveling. Yet durable enough to withstand the rugged conditions of the backcountry. The compact size makes it an easy addition to a backpack for a multi-day trek or at the beach for some fun in the sun. 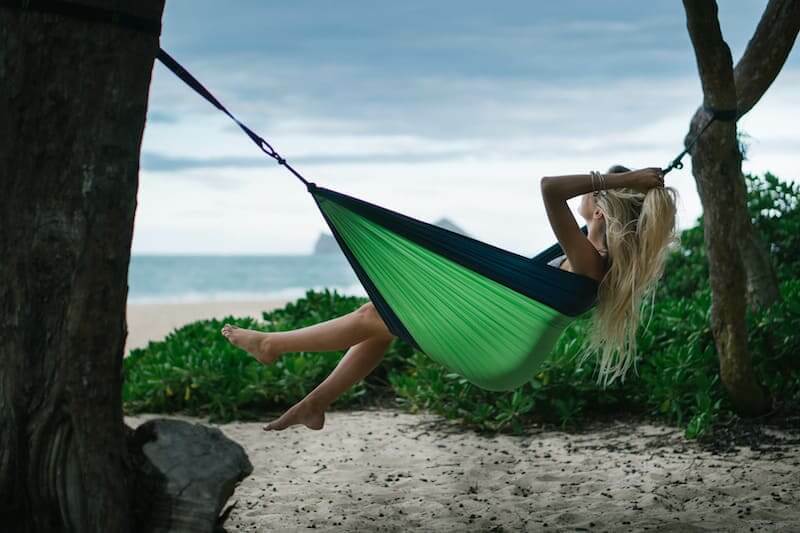 With an intuitive tree strap suspension system, our hammocks set up in less than a minute and provide the freedom of comfort and relaxation anywhere and anytime. Our durable parachute nylon holds up to 350 lbs while providing maximum breathability. 10 loop tree straps means that you have even more freedom to choose anchors to hang from. 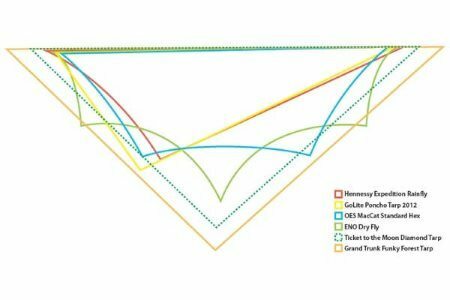 Learn more about the benefits of hammock camping here.